Prime Minister's Office says 'there is no reason for the Palestinian state to be mono-ethnic.' Bennett: No way! A source in the Prime Minister's Office told reporters Sunday that Prime Minister Binyamin Netanyahu believes that if a Palestinian state is established in Judea and Samaria, Jews who wish to remain in that state should be allowed to do so. The source explained that the idea is a continuation of Netanyahu's statement in his speech at Davos, Switzerland, on Friday, in which he made clear that he does not intend to evict Jews from any communities in Judea and Samaria. Economics Minister Naftali Bennett (Jewish Home) quickly shot down the idea in a Facebook post. The idea “pulls the ground out from beneath our settlement of Tel Aviv” as well, he stated. 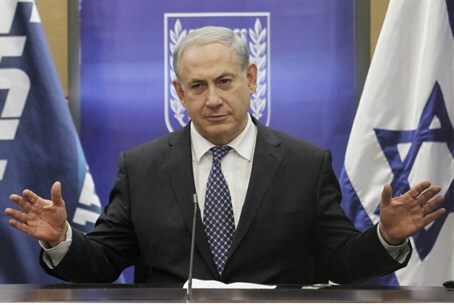 Bennett called on Netanyahu to immediately deny that the idea reflects his policy. The Legal Forum for the Land of Israel warned against implementing the idea and said that it will lead to a bloodbath. Netanyahu's plan is unlikely to be accepted by Palestinian Authority head Mahmoud Abbas, in any case, since Abbas has vowed not to allow a single Jew to live in "Palestine."